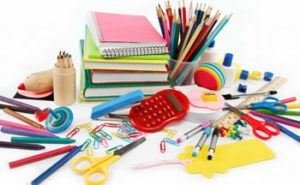 Office Supplies are essential for the day-to-day running of most businesses and Organisations. 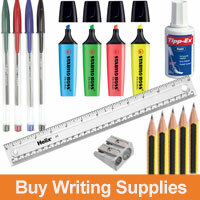 BOS make it easy for you to buy a huge range of high quality office supplies from one reliable source. Choose from a huge range of office supplies, products and services for different organisations and businesses. NHS, Government, Blue Chip Companies, Charities, Construction, Financial, SMEs. We supply brands from the world’s leading manufacturers as well as our own Banner and Business brands. Buy Everything from one reliable source. Less paperwork, less time, less cost. Are looking to buy good quality office supplies, equipment and products for your business or home office? BOS supply 1000s of products and offer a choice of purchasing methods to suit your needs. Order Online. Products available 24/7, flexible, secure, fast system with multi users. 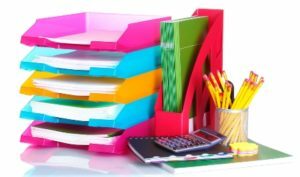 We understand that having good quality office supplies is important to UK businesses. From our head office in Yorkshire we are able to supply companies and organisations across the UK with 1000s of office products. 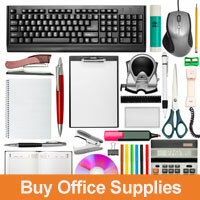 We offer a “buy all office supplies from one source” service. Purchasing from one provider means that you only receive one invoice. You will save on paperwork and time. You will be able to buy great quality office products at competitive prices and therefore will also save money. BOS Office Supplies is part of a multi-million pound buying group. This means that we are able to offer our customers the best prices, practices and brands. We will even send you some free biscuits when you order online and spend more than £50 (+vat). 1000s of office products are available to buy 24/7 through our online shop. It is secure and easy to use, allowing you to search by product name, brand or product description. With an online ordering account you can set up multiple users from your company or department. We offer usage reporting by user, department or product. You can easily track your stock, invoices and deliveries. Online payments are secure and we offer a choice of payment facilities. Through our industry leading Office Fleet Distribution Service, BOS can deliver your order of office supplies efficiently. We offer a white glove delivery service meaning that our drivers will take your order exactly where you want it. We don’t just drop it at your front door or reception area. Unless you want us to! Thanks to our logistics partner 98% of our office supplies products are NEXT day delivery. Once you have placed an order online, we will email you an acknowledgement before setting up delivery. 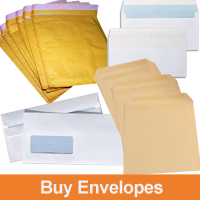 You can track your office supplies order and set up next day, regular and desktop deliveries. BOS ensure that all delivery staff are CRB checked, polite and courteous. If you prefer to deal with a real person when ordering office supplies then feel free to talk with our customer service team. All of our staff are experienced and knowledgeable within the office supplies industry. BOS can allocate you a specialist account manager to get a better understanding of your office supply needs. We can arrange a site visit to discuss your requirements face-to-face. Your personal account manager will send you reports, carry out spend reviews and offer cost reduction suggestions. It is important for us to go the extra mile and exceed your expectations. We will keep you up to speed on the latest office products, services and offers with regular e-shot updates. The better we understand your business, the more time, hassle and money we can save you. If you can’t see what you need contact us – we are ace at sourcing products even if we don’t stock them ourselves. Nothing is too much bother. 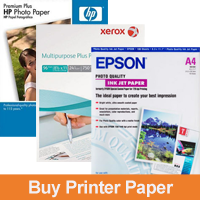 Our main goal is to help you save time and money buying Office Supplies. Take the BOS Challenge and put us to the test! 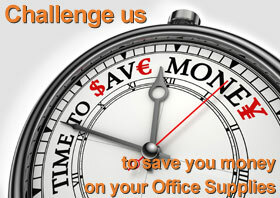 If we can’t save you money on buying Office Supplies then we will send you a free gift.